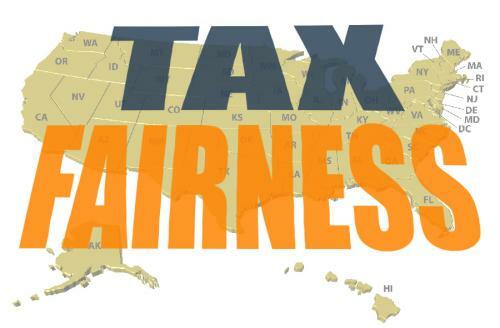 A project of United for a Fair Economy and a partner of Responsible Wealth, the Tax Fairness Organizing Collaborative (TFOC) is a national network of state tax fairness organizations that use grassroots organizing to push for progressive state tax reform. TFOC groups often need business owners and other upper-income individuals to speak out in favor of progressive reforms at the state level. If you would like to support your state group, either financially or by using your voice, contact mlapham@responsiblewealth.org.